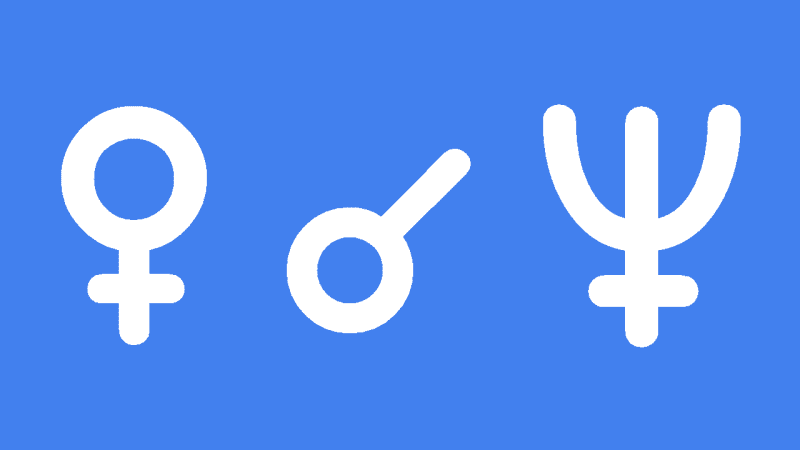 Venus conjunct Neptune in the natal chart makes you a romantic, an idealist and a dreamer. It is very easy for you to fall head over heels for someone, and your empathy and compassion is to be admired. However, this tendency towards idealistic love does have the potential to make you vulnerable to a broken heart and disappointment. Other people who are not so caring as yourself, may see your kindness as a weakness and take advantage of you. It will be important for you to expect others to return your love and loyalty, to keep up an equal footing in love relationships. Once you tackle the tendency to over-idealize, or subconsciously ignore the negative traits in another, then you will lessen the risk of dissolution or grief. Venus conjunct Neptune also suggests that you should have musical, artistic or other creative talents. You have the ability to appreciate the surreal, and bringing form to the more intangible impressions you receive would be therapeutic. Transiting Venus conjunct Neptune brings the potential for new romance or more compassion and spiritual bonding in an existing relationship. However, this transit also comes with the risk of disappointment if you have not been accepting the harsh realities of a negative relationship. At work or with other routine duties, you may have some difficulty getting motivated as there is a tendency with this transit to laze about and daydream. If you do have the opportunity for some free time, then this is an excellent day or two to indulge in a creative hobby or relaxing with a movie or your favorite music. You will find yourself being drawn to anything of beauty, and want to stay well away from any situations or environments which are harsh or aggressive. Your level of compassion is high now, and you would find fulfillment in charity work or caring for others. Leonard Cohen 0°02′, Nevin Markwart 0°03′, Josephine Baker 0°35′, Louis Pasteur 0°38′, Tracy Austin 0°43′, Leonard Bernstein 0°44′, John Seale 0°47′, George III of UK 0°47′, Truman Capote 0°50′. Hi Jamie, what you mean about transiting venus conjunct neptune both trine natal uranus exact? Not sure what you men Ali. Where did I say that? Yes, he is on astro databank rated A. Another one added! I’m in the generation of people who have uranus and neptune in conjunction in capricorn. Given the rarity of this conjunction, I feel it may be an misunderstood yet essential feature of the spirit of our times – especially as my generation comes of age. I am particularly interested in this aspect because I have venus in conjunction with uranus and neptune, and feel like I may express some of the archetypal qualities of my generation. It is intense, because every neptune transit for me is also a uranus and venus transit. Would you care to share some quick comments on this placement? Thank you in advance for your excellent and inspiring work. Thank you Ronnie. The date were correct for Venus conjunct Neptune. That was a bad typo. Thank you for the swift reply. I find your site containing some very useful information. Do you happen to know the length of time of each? I see current info with the times listed. I am looking for verification for my records as I recorded them. I also have a question as to why you do not include Ophiuchus in the Zodiac charts since the Sun has been spending a great deal of time in that constellation during Dec? this Venus-Neptune conjunction (April 2019) is conjunct my natal sun in Pisces and trine my natal Neptune. It is also the day the transiting sun conjuncts my natal Jupiter, while transiting Uranus is conjunct my Natal Venus. What are the chances I get any work done that day? I am a writer so it might be OK for creative work, but I’m guessing daydreaming will be even worse than it is normally. Maybe a good day for some moderate gambling?